Tara Jacobson is the owner of MarketingArtfully.com with over 19 years experience in the marketing industry which translates into highly successful marketing systems for her “DIY” and entrepreneur clients. Tara’s strong history in Psychology, Entrepreneurship, Etsy, Small Business, Real Estate, and Author Marketing combined with her 100 miles per hour, “tell it like it is” personality have earned her the title “The Queen of Marketing Ahhh’s” from her raving fans. Tara brings a true small and medium sized business perspective to her work. She has talked with over 1,000 small biz owners about their goals, plans and dreams, helping them to grow and make sure that their marketing increases their intended efforts! Tara is a fun and entertaining podcast or webcast guest. 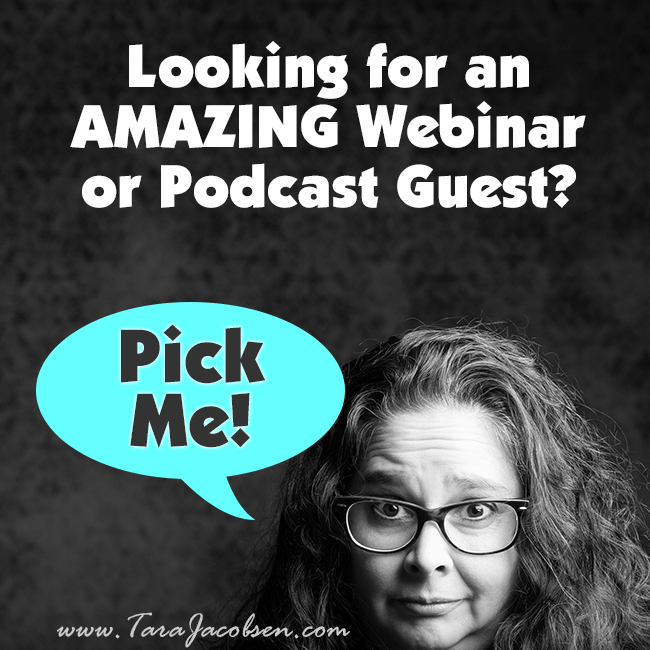 No prima donna with a huge list of requirements, Tara is happy for the opportunity to be on your show and is more than willing to promote your show and share her recording with her large network of social media and email contacts. Etsy Conversations Podcast – Talked about marketing your Etsy shop! @ConvoMePodcast I think this is my favorite episode so far! I learned so much from @TARAdactyl! If you are looking for amazing marketing speaker with a wealth of marketing knowledge and a great attitude, you have picked the right gal. Tara is a sought after marketing presenter known for her “tell it like it is style” and giving 100 miles-an-hour presentations that will keep your audience engaged and taking notes the entire time. No boring old rehashed marketing ideas from years past, Tara is actively working with entrepreneur, Realtor and writer clients on a day-to-day basis, implementing the latest cutting edge marketing tactics that work today. 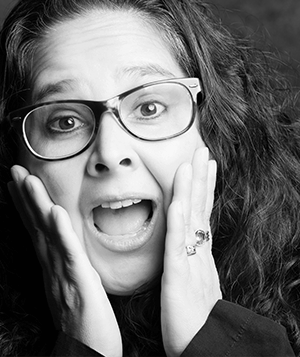 She will give your audience concrete strategies that can be implemented immediately! 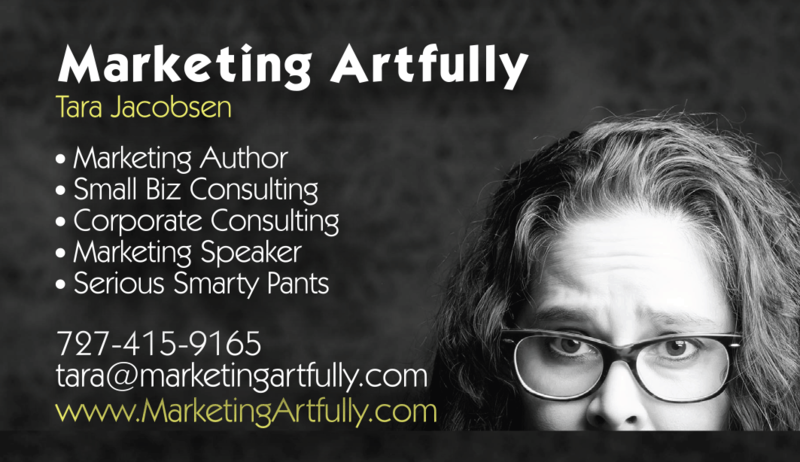 Tara is the founder of Marketing Artfully, a fifteen year old marketing company that creates cutting edge marketing strategies for small businesses. With a Bachelor’s Degree in Psychology and 15+ years of “in-the-trenches” marketing experience, Tara’s background prepared her for helping entrepreneurs, Realtors and writers grow their market share and profitability with “real life” marketing ideas and lead generating tips. With her writing partner, Rebekah Welch, Tara was even presented with a coveted “Innovation Award” at a Western Regional Industry speaking event. Custom Keynote Programs are one of Tara Jacobsen’s strengths. She will work with you and your colleagues before the event getting to know the theme, the goal, and all the details of your event, so that Tara can put together a spectacular presentation or workshop exactly fitting your specific needs!